Northern Public Affairs, in collaboration with the Internet Society, is pleased to release a call for contributions to the Fall 2018 special issue of NPA Magazine focusing on emerging developments in community networks among Indigenous peoples in North America. Read more. 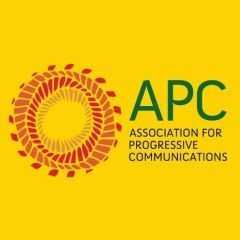 APC internship opportunity for an African community networks project. Read more. The Internet Society is inviting applications for individuals interested in the Introduction to Network Operations Course. The course will be run monthly in English and French with the registration beginning on the third Monday of every month and closing on the last Wednesday of every month. The current application closes on 30 May 2018. Applicants applying in this window will take the course from 4 June to 9 July. Read more. Digital Citizen Summit session proposals are being accepted until 15 June 2018. One of the relevant themes of this summit in relation to community networks is “access and inclusion”. Read more. All stakeholders are invited to submit proposals to hold workshops at the 13th Annual Meeting of the Internet Governance Forum (IGF) to take place in November/December 2018. An announcement is expected imminently on the exact dates and venue of the meeting. The deadline for workshop submissions is 27 May 2018, 23:59 UTC. Read more. The Beyond the Net Medium and Large Grants Programme is still open for applications. Read more. Whose Knowledge? : Decolonizing the Internet conference, 17 and 18 June in Cape Town, South Africa. Read more. Sarantaporo conference: Building the community in community networks. Read more. Global ICT Capacity Building Symposium, 18-20 June in Santo Domingo. One major theme will be “capacity building needs and policy interventions particularly on community-based ICT development”. The programme can be found here. Read more. Video of the panel at RightsCon: “Addressing the digital divide in Indigenous Communities in North America”. Watch here. Summary from Steve Song about the Dynamic Spectrum Alliance Global Summit 2018 in London, with observations around Africa. Read more. Presentations and other resources from past DSA events can be found here. Shernon Osepa (ISOC) speaks about community networks in a session about internet infrastructure resilience at the 14th Caribbean Internet Governance Forum in Suriname. Watch here. Some of the presentations that took place during the “Mesh is in the Air” (formerly Battle Mesh) meeting in Berlin are linked to the different elements of the agenda. Read more. The videos of the presentations are also available. Watch here. South Africa becomes the first country in the region to support community networks. Read more. Explicit support for @ZenzeleniNet and #communitynetworks in the Budget Vote from @DtpsZA in Parliament last week. Hoping other countries in the continent follow the example! Read more. [En español] Un camino por el acceso de las comunidades: de los telecentros a las redes comunitarias, por Florencia Roveri de Nodo TAU, Argentina. Leer más. Empowering local communities to build, maintain and expand their community network. Read more. ‘Anti-authority’ tech rebels take on ISPs, connect NYC with cheap Wi-Fi. Read more. Dustin’s internet community roadtrip: In the Bay Area, what redwoods can teach us about the internet. Read more. Sovereignty is more than a designation, it is a responsibility. Read more. [Em portugués] No canal no YouTube do Projeto de Redes Comunitárias do Nupef tem vídeos novos pra assistir! Assista aqui. [En Français] Wi-Fi hot spots to be implemented throughout Togo. Read more. 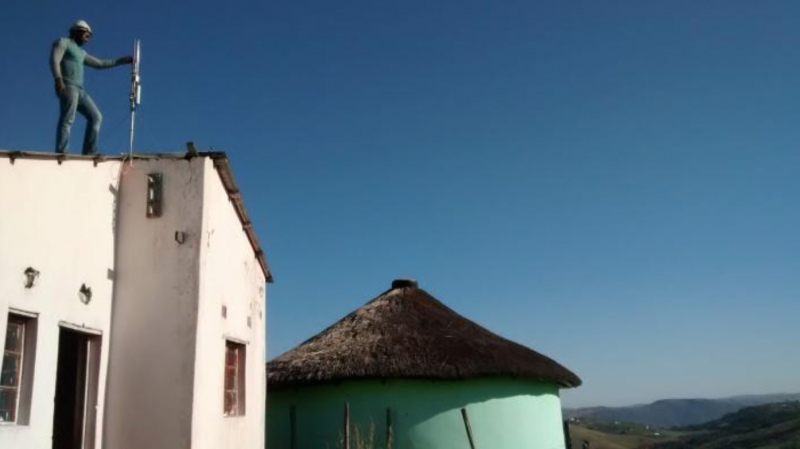 Investing in Last-Mile Internet Connectivity Initiatives: Opportunities for social and commercial returns. Read more. Indigenous Community Telecommunications, a civil society association in Mexico, has withstood an important legal battle for the right of indigenous communities to establish and manage their own community networks of mobile phones and internet. Read more. The Democratic Republic of Congo’s National Assembly adopts a new Telecommunications Act. Cellcos handed LTE licences. Read more. Innovative Licensing Approaches: Enabling access in hard-to-reach places through collaborative partnerships. Read more. Community Networks in the EU Parliament – A panel on “Obligations for small providers” with Evangelos Ouzounis, Head of Secure Infrastructure and Services, ENISA; Bruno Veluet, CEO of Leonix, Paris-based B2B ISP member of AOTA; Caty Nymann, Chair, Communication Networks Regulation Working Group, DIGITALEUROPE; and Panayotis Antoniadis, co-founder at NetHood. Watch here. Decolonising the internet: Second International Cyberfeminist Meeting (15 March 2018, Salvador, Brazil). The group adopted a set of principles including principle #4: “The promotion of alternative networks self-managed by communities.” Read more. Unleashing Community Networks: Innovative licensing approaches. This paper by ISOC builds on their “Spectrum Paper” and focuses specifically on innovative licensing options for community networks. Read more. Gwaka, L. T., May. J., & Tucker, W. Towards low‐cost community networks in rural communities: The impact of context using the case study of Beitbridge, Zimbabwe. E J Info Sys Dev Countries. 2018; e12029. Read more. Leader Brenda Vilas Boas, “An EPICS Adventure: Bringing Telephone and Internet Service to the Amazon”, IEEE Women in Engineering Magazine. Read more. Tonny Okwonga from the non-profit organization BOSCO Uganda presented at the ICT4D conference in Lusaka, Zambia, on Empowering refugees: livelihood enhancement through ICTs. Read more. Call for academic papers for the 2019 IFIP WG 9.4 Conference “Strengthening Southern-driven cooperation as a catalyst for ICT4D”, with two tracks that might be of interest: “ICT4D for the Indigenous, by the Indigenous and of the Indigenous” and “Communities, ICT-Enabled Networks, and Development”. Deadline for papers is 3 September 2018. Read more. The 1st Conference on Computing and Sustainable Societies (COMPASS 2018), formerly ACM Dev (where many academic papers on community networks were presented), will take place on 20-22 June 2018 in California, USA. Papers of potential interest to community networks are: Adaptive Threshold Setting for Determining Spectrum Occupancy in TV White Space (note); DIY Model for Mobile Network Deployment: A Step Towards 5G for All (note); Information-Centric Multi-Access Edge Computing Platform for Community Mesh Networks (paper); Nation-State Hegemony in Internet Routing (paper); and Zyxt: A Network Planning Tool for Rural Wireless ISPs (paper). Read more. The ICTD 2019 Conference will take place 4-7 January 2019 in Ahmedabad, India. A call for participation with papers/posters is open until 22 July 2018. Read more. There are plenty of new releases coming out of the Mesh is in the Air meeting. We just put together a list with a few of them, but you are invited to go and pick your favourite. Read more. Mesh Routing Simulator: A simplistic mesh routing simulator to sketch algorithms and edit mesh data. Mesh Testbed Generator: Config-Mgmt. for OpenWRT (ImageBuilder) for setting up a homogeneous network (i.e. for testbeds). OpenWISP 2: A growing open source network management system for OpenWRT.